I’m still having some problems with the guiding camera connection randomly failing, but overall the imaging setup is working fairly well at this point. The following image was taken last night (July 23rd, 2008). 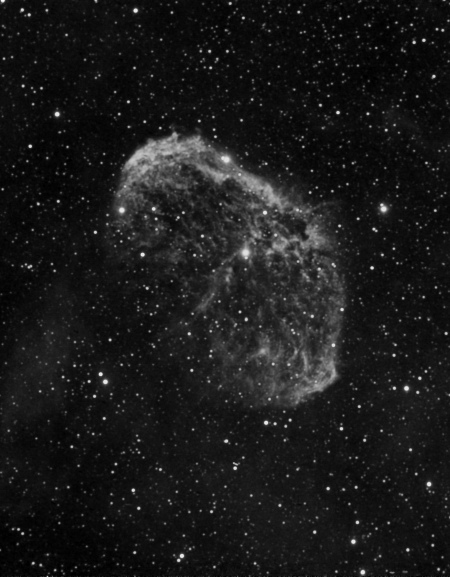 It is composed of 29 10-minute exposures taken with Baader Ha filter. This entry was posted on Thursday, July 24th, 2008 at 10:13 pm	and is filed under Amateur Astronomy. You can follow any responses to this entry through the RSS 2.0 feed. Both comments and pings are currently closed.